Retired SMART Transportation Division members in the U.S. and Canada, as well as those individuals nearing retirement or interested in pension and other issues affecting transportation-labor families, are invited to participate in a voluntary program designed especially for them, the SMART TD Alumni Association. With annual dues set at only $9 per year, membership in this fast-growing program doesn’t cost — it pays! 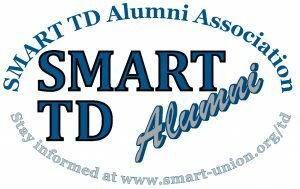 Several local chapters of the SMART TD Alumni Association have formed in various parts of the country. To find a local chapter in your area, or to start a new chapter, click the link below.